Today we’re talking about hammers. Hammers are very important in the handpan making process but as players we don’t know much about them. Are handpan makers using the standard hammers we find in any DIY store? Hi Uncle Jimmy! Could you introduce yourself? Hello, my name is Jimmy James, born in the colonial era in Hong Kong to a Royal Navy family, I grew up in London in the 50’s and 60’s and was profoundly affected by the cultural changes of the time, notably music. I became one of the first touring sound engineers based in UK and USA, working with many artists from clubs to stadiums including Michael Jackson, Stevie Wonder, Foreigner, Aerosmith, etc etc…. I moved to France in 1990 and worked with many French artists. My wife, Gillian O’Donovan, singer/musician and I have 2 children who are professional musicians. For those who just entered the world of singing steel, could you just quickly explain to us why and when hammers are involved in the handpan making? From before the invention of the Handpan, Steel-Drum tuners were experimenting with different techniques to tune their instruments, nearly all of them involved hammers. If you are sinking your own shells by hand you’ll need a big heavy sinking hammer, when you make dimples you’ll need 2 or 3 roundish hammers, shaping notes needs a couple of different diameters/profiles, when rounding off your gu roll you’ll need a largish ball-peen shape. Final tuning often involves hammering from the inside so a small hammer that will fit through the Gu is essential. 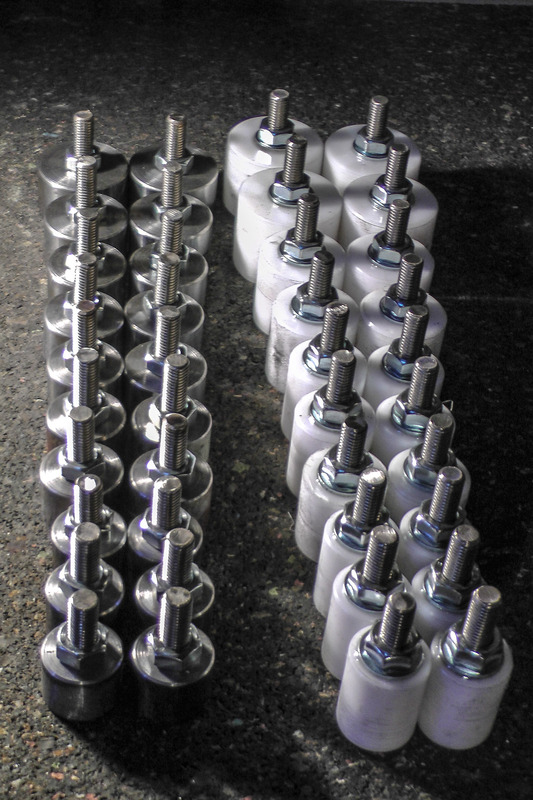 My hammers are modular, meaning that you can change the heads, steel or Polyamide, for different sizes, profiles and functions. 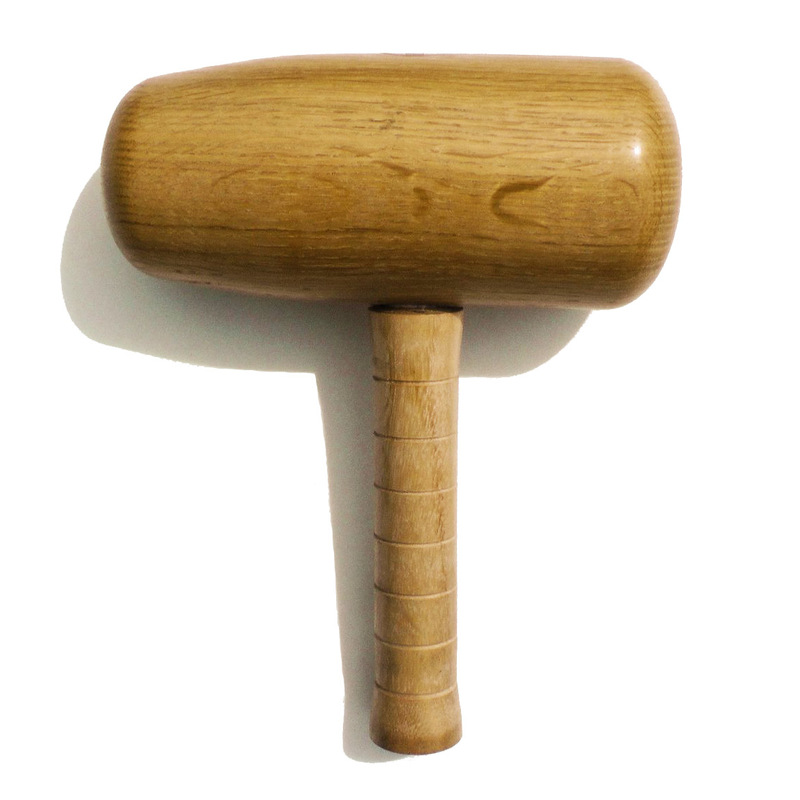 I also make wooden mallets, these are useful for smoothing, intersticial work, loosening notes etc and are made from old seasoned oak (from a 60 year-old wine press!) or beech. Could tell us more about Jimmy’s House of Hammers? The name was inspired by a British horror movie company, ‘Hammer House of Horrors’. In 2013 I met Michael Colley and we decided to try making handpans together under the name of Aciel. He had a vast knowledge of the handpan world as it was then and a large collection of Hang, Halo, SPB etc. We soon realised that special tools were required for this evolving art-form. As nothing was available at the time and I was responsible for the engineering side of Aciel development, I made a series of hammers for Michael to shape and tune with, which were mostly successful. Hammers are an essential part of creating musical instruments from sheet steel. The complex profiles at the various regions of the shell and at different stages require many shapes, sizes, weights and materials. Hammers become very personal tools as so much time is spent using them and the results are inextricably linked. Following my departure from Aciel I was asked by several people launching their own projects to make them hammers…. Jimmy’s House of Hammers was born. I decided to create a range of hammers with interchangeable heads, reducing the need to have a large range of fixed-head hammers. I make 3 basic handles and a large varieties of heads in high carbon steel and Polyamide plastic which all fit the hammers. These cover many of the stages of handpan making and custom orders are also possible. My heads will also work with air-hammers which have been fitted with the correct adaptor. 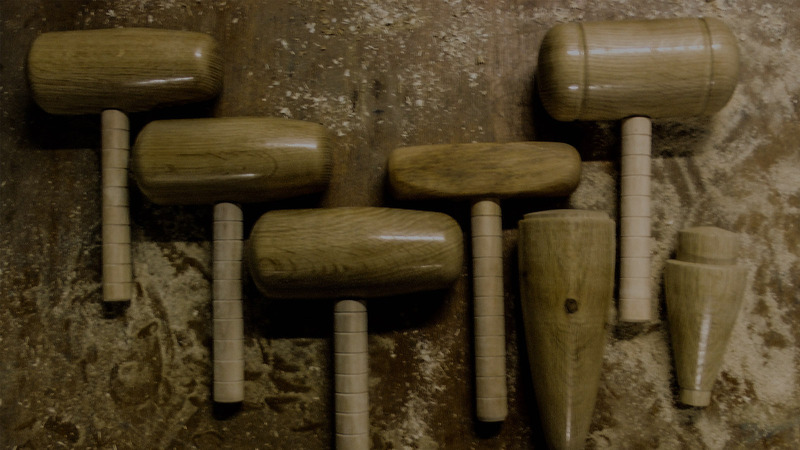 The arrival of my wood lathe has allowed me to explore wooden mallets which have also proved very popular. As getting started in handpan making and tuning can be expensive I have always tried to keep prices to a minimum and basic prices have not risen since I started. Anyone interested in more information can leave me a message. My hammers now reside in many countries of the world, from India to USA, from Finland to Australia. I have been working on a new website to come soon but I am having trouble leaving the workshop! Ok, so now what’s the future ? A big investment in a new metal lathe soon should help to speed up my processes and improve quality still further. At the moment there is an explosion of new handpan makers emerging to fill the gap that has existed in the market for years, how long that will continue is yet to be seen but I will continue to adapt to an evolving market and hopefully help new makers to realise their dreams. May the force be with you uncle Jimmy! Thank you for what you are doing for our community. What about you? Which hammers are you using? Leave us a comment!